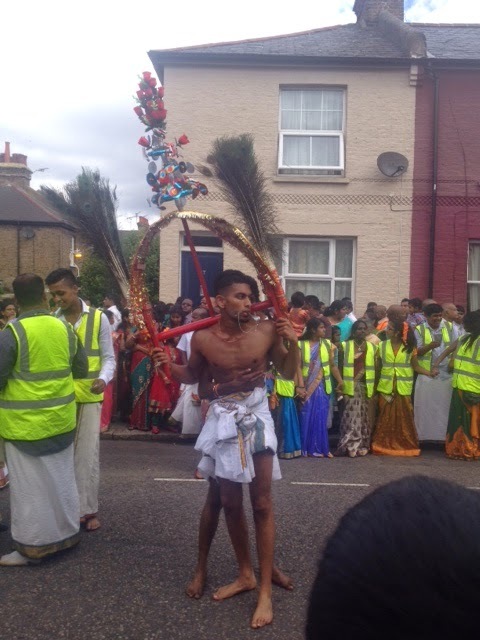 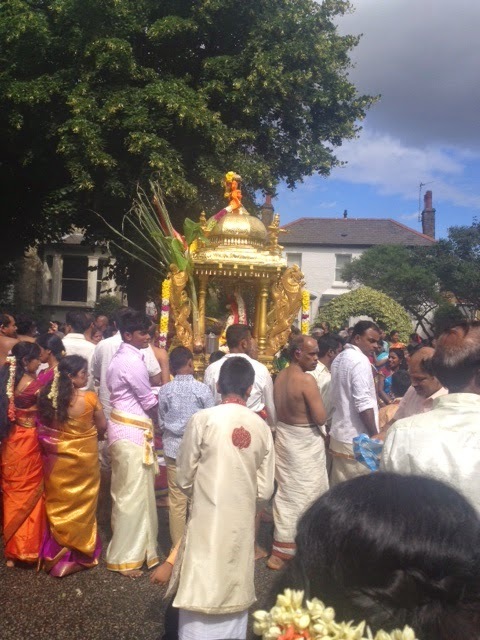 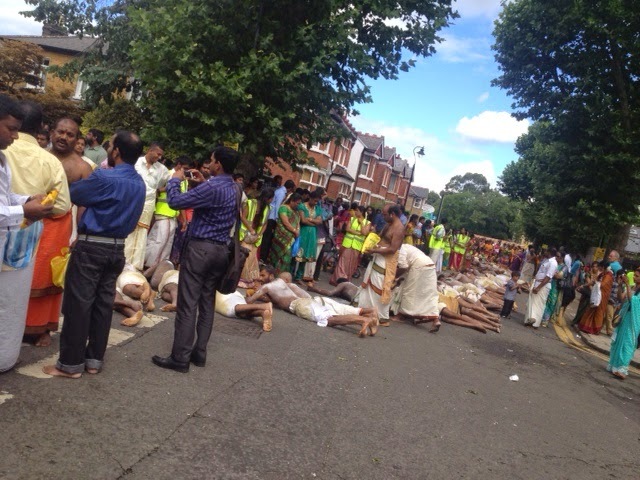 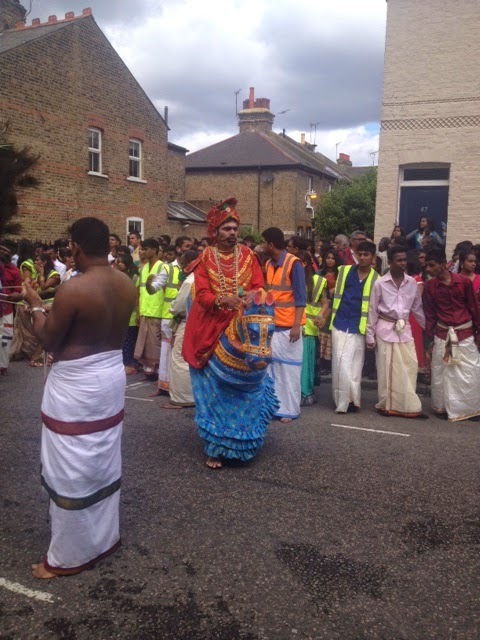 Before I start this post, I just want to be clear that I am not going to attempt to explain what the Hindu procession (that runs in a circular route from the Shri Kanaga Thurkkai Amman Temple and round some roads in West Ealing) means, what the significance is or any other detail I will most probably get wrong. 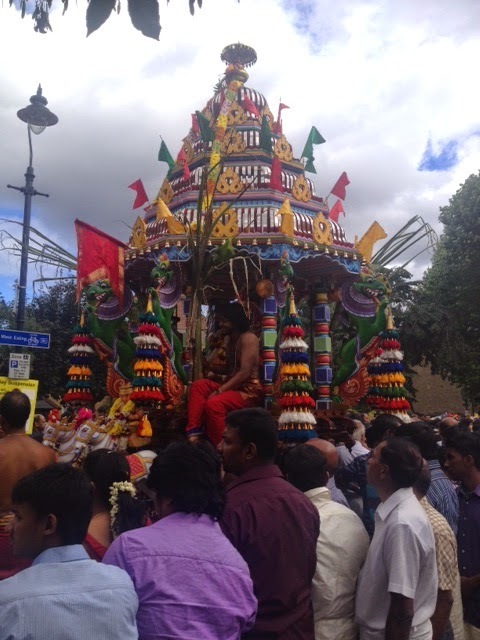 So, all I am going to share is a flashback to a beautiful day, with the beauty coming from the theatre of it all rather than the weather! 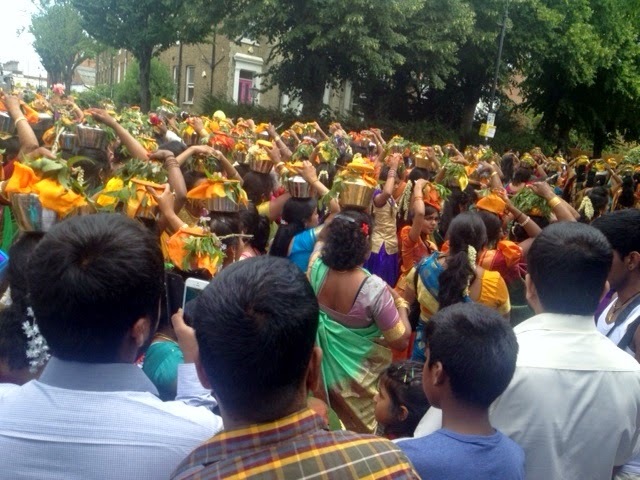 Apart from the above pic, the below are in pretty much the order that it happens (sorry if I got a few out of sync) - enjoy!